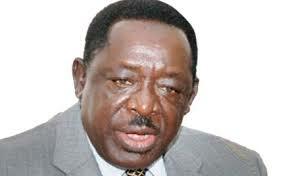 Former Lands, Housing and Urban Development Minister, Daniel Omara Atubo has said Uganda need servant leaders produced through free and fair elections if there is to be peace and development in the country. In his presentation on behalf of the politicians present at the 14th Provincial Peace and Prayer Week on its second day 22nd January 2019 in Lira, Daniel Omara Atubo aptly cited the current situation in the Democratic Republic of Congo that is experiencing a post election stalemate allegedly due to lack of transparency in the December Presidential Elections result. He said, Uganda like any other country in the world, need servant leaders who are entrusted by the people through free and fair elections. He commended the Catholic Church in DR. Congo for promoting free and fair elections and, emphasizing the respect for fundamental human rights. He explained that having leaders who are not democratically elected through free and fair elections will always be the force behind the collapse of various government state systems and institutions. Negatively, he said when these institutions are not properly functioning, it would always lead to the loss of public confidence in courts of law, and the direction of public prosecution among others. To stay away from this, Daniel Omara Atubo said there is need to have leaders who are servants and promoters of civic education to the populace so as to enable them know their rights and role that lead to peace. He further emphasized on the roles and responsibilities to be taken by politicians to create avenues for citizens to live in peace and harmony.